Today I present to you the October Libbie Club, filled with essential skincare, haircare and fragrance! October is the time when the weather in London starts to go wrong, and we are desperately searching for our warm cardigans, always carrying hot drinks and avoiding leaving the house. 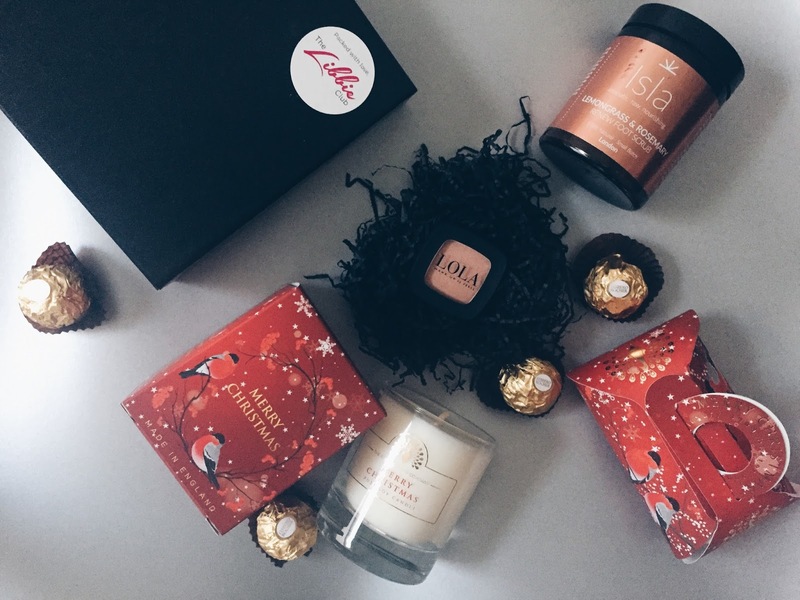 Luckily this month’s Libbie Box can keep you busy and you can stay home and relax with a great face mask, hair serum and a lovely fragrance. You can get all the products from my page, here. As you can probably guess this is my favourite product from this month’s box. The set consists of 4 masks: Cream Mask, Exfoliating Mask, Gel Mask and Mineral Mask. Each mask has different properties, and the masks should be ideally used alternately everyday or at least 2 times a week. I always apply masks on the face and neck as those are the two areas that age the fastest. Cream Mask – for dry, sensitive and irritated areas, aiming to sooth and reduce redness and energise the skin. This was my favourite as it hydrated and nourished my skin, leaving it glowing. Exfoliating Mask – aimed to get rid of dead skin, excess oils and bacteria. It restores the natural balance, and smoothes the texture of the skin. This masks smoothed down my skin and made it brighter and cleaner thanks to the exfoliating particles. Gel Mask – as you can imagine, this masks has a cooling and recharging effect. It has soothing and restoring properties, aiming to reduce wrinkles + fine lines and improve skin elasticity. It was great to use after a night out. Its cooling effect feels incredible on the skin as well as under eyes, reducing puffiness and improving the general appearance of the skin. Mineral Mask – containing powerful blend of sea minerals and botanical extracts, it is ideal for problematic skin, as it de-clogs pores. I liked using this mask when my skin needed a detox, the minerals are actively working on the skin, cleansing the pores, and making the skin healthier and glowing. Overall, I was very happy with these masks, and I would recommend it to anyone, as each mask is tailored to a specific need. Salon Science is a lovely brand and it has already been featured on my blog. The brand comes from Switzerland, and uses the best technology to regenerate the hair. The Reprotectant Thermal Cream is a heat protecting product, which not only protects the hair from heat but also conditions and locks in the hair colour and moisture. It creates a protective layer on top of the hair protecting it from heat as well as environmental damage. For best results I used it after washing my hair, and spraying each section prior to using a hairdryer. You can also use it on dry hair before straightening. Being a fan of all smoothing products, this quickly became my daily essential. It not only smoothes the unruly hair but it also nourishes the hair, making it glossy and gorgeous. Great combination of hair products! The Library of Fragrance has a wide range of different scents! In this month’s box I received the Musk #7 which is quite universal. Most of my favourite perfumes have Musk ingredient inside so I was looking forward to trying this one. This cologne spray has a clean, soft and powdery scent which can be used to layer additional fragrances. I was positively surprised by this perfume, as it is also long lasting. I want to get all of the range from the Library of Fragrance! Do you have a favourite? Autumn is one of my favourite seasons of the year, and do you know why? 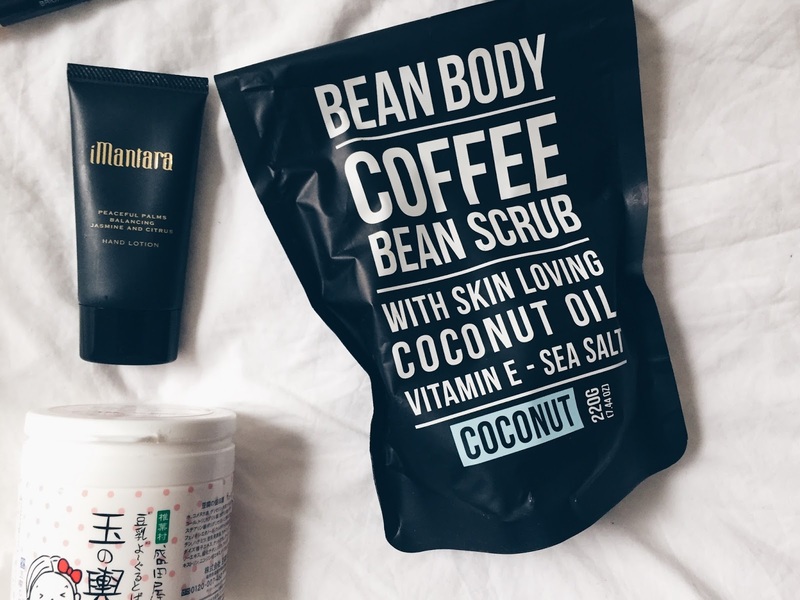 Yes, I do love the changing colours, the Pumpkin Spice Latte and the warm cardigans but there is also another reason – I finally have an excuse to stay at home and carry out my pamper routine (yes, rain is the perfect excuse!). The Ultimate Pamper Pack is the perfect set of goodies that you can use for a pamper routine for yourself or when you want to invite your girls over and do it together with delicious food and great movies. Light up candles in your bathroom, play your favourite tracks and run the shower. Use the Bath and Shower Cream to cleanse your body. Next step is a scrub, there are two choices available in this set- Pomegranate Body Sugar Scrub and Walnut Shell Body Scrub and Cleanser. If you prefer fruity scents, I suggest Pomegranate Body Sugar Scrub, and if you are more into nutty scents, like me, then in the Walnut Shell is an option to go for (then you don’t need to do step 1). Both scrubs contain small grains but they do a great job at exfoliating! Use the Avocado and Oatmeal Foaming Facial Cleanser to cleanse face and neck. Massage it gently into the skin and wash it off with warm water. This facial cleanser is a great pick as it cleanses without over-drying thanks to the oats and avocado ingredients. Once you step out of the shower and get wrapped in your favourite bathrobe and put on your fluffy socks, it is time for a face mask. In this set you have a choice of 3, Acai Purifying Clay Mask, Cucumber Peel Off Mask and Chocolate and Strawberry Clay Mask. The Acai masks absorbs impurities so if you have a lot of blackheads, this would be ideal. The Cucumber Mask clarifies and renews skin so if you have any breakouts or your skin feels dull, give this one a go. And the last option is the Chocolate and Strawberry Mask which softens and tones, and this was actually my favourites as it softened my skin without drying it and it also closed up my pores. It is time for a foot soak! Fill up a basin with warm water, add the foot soak and place your feet in the warm water for 5-10 minutes. This set also contains foot scrub, so if you want to get rid of any dead skin cells and get perfectly smooth skin, use the peppermint + plum foot scrub after the soak. Once the time is up, apply the foot balm or foot lotion and put on fuzzy socks! I would choose the balm if my feet were very dry, and if less hydration was needed I would go for the foot lotion. After a hot shower, it is important to moisturise the skin, so use the Egyptian Argan Oil Body Butter to provide the essential hydration. This body butter is filled with Argan oil, Shea Butter, Coconut Oil, Oatmeal as well as Vitamins A and E. Be generous and apply it all over your body. Turn on your favourite TV series, or romantic comedy and enjoy your evening! Once again I have a set of empties for you, I know that some of them are repeating from the previous empties but when I was moving I got mixed up so the ones I previously reviewed will not be mentioned here! 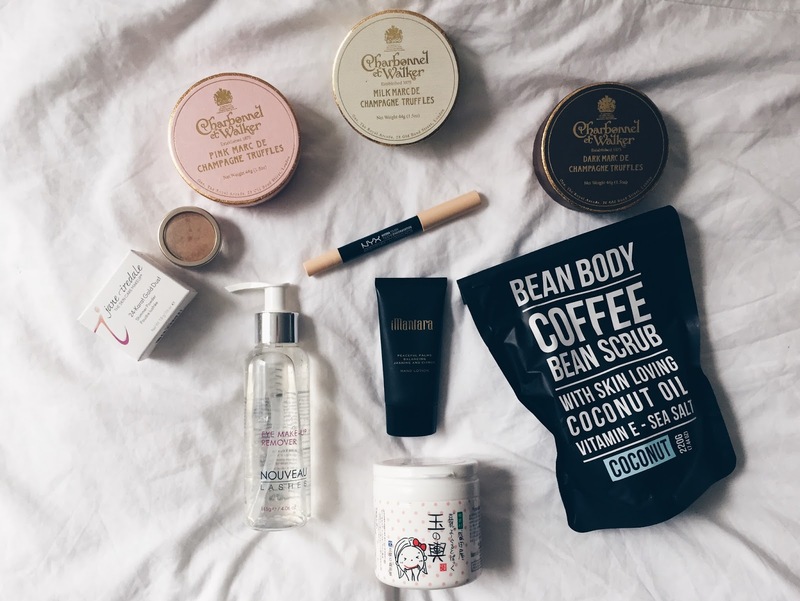 Have a look at Empties #6! Enjoy! This perfume can be described in 5 words: warm, spicy, dark, seductive, sweet. It is based on Sandalwood, Amber, Chocolate Vanilla; has spicy fruity notes as well as Orchid as heart notes, and is topped with Jasmine, Gardenia and Tuber. This perfume is ideal for a person who likes heavy, spicy scents, it is very distinctive so you will either love it or hate it. I love it and use it day and night, however a lot of people prefer to use it in the evenings. Available from Selfridges, £54/30ml. This is a very hydrating body butter from Korres. I bought it in duty free on my way back from Prasonisi where I went kitesurfing. As you can probably imagine after 1 week in the sun, wind and on the beach, my skin was extremely dry. This body butter is very hydrating and after just a few applications my skin was nourished and quickly recovered. The secret is in the ingredients, filled with Shea butter, avocado, almond and sunflower, the body butter has softening and reconstructing properties + it smells gorgeous! Available from Feelunique, £12.50. If you are looking for a face mist or setting spray, you could try the Restore Aura Spray from Roques Oneil. I go through face mists quite quickly and actually this is the second bottle I used up. You can carry it with you in your handbag, have it in your beauty cabinet or use it when travelling. It is a perfect product to take on the plane and it is exactly 100 ml. The product smells of different herbs and flowers such as Rose, Spearmint, Rosemary, White Sage and Lemon. Available from Roques Oneil, £28. Great for removing makeup, dirty and as part of an evening routine. Every girl should have micellar water in her beauty closet. Enough said. Available from Feelunique, £10.50. This is my favourite dry shampoo, so you probably saw it in my previous empties. Dry shampoo is perfect for those days when you don’t have the time to wash your hair or simply don’t feel like it. I like the one from Toni and Guy as it doesn’t make the hair feel stiff after using like other products. It is long lasting, and gives you another day of clean hair. A must-have! Available from Boots, £7.49. A solid Argan oil is all you need if you often suffer from dry skin. It is a solid oil which comes in a 50g metal tin. The oil needs to be warmed up in hands prior to applying. It is very hydrating and can be used on dry knees, elbows or any dry patches. You can also use it as hydrating treatment prior to washing your hair. Great for the autumn and winter months! Available from The Body Shop, £8. As always the Collection Concealer is present in my empties. If there is one products that I use like its water, then its definitely this concealer. I never leave my house without touching-up my imperfections and this concealer does it so well. 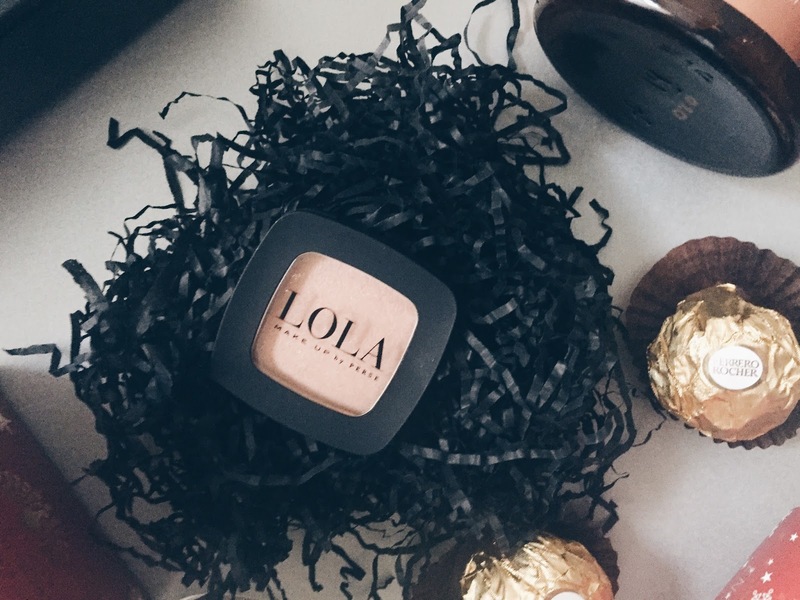 It provides great coverage, and can be used for lighter or heavier makeup. The price makes this products 10/10! Available in Boots, £4.19. 1. Try a new perfume! Hope your first autumn days are going well and you are still finding the motivation to go outside and workout. For those of you who are home lovers and find it difficult to leave the house when it is dark and cold outside I suggest stretching at home! All you need is a yoga mat, comfortable clothing and a bottle of water. First remember to put on clothing that is breathable, comfortable and allows you to move freely. I am wearing items from Ellesse Collection which are designed to make your workout as comfortable as possible with fast-drying, sweat-wicking material which is very elastic. Available from JD Sports. Top Tip: Tie your hair up so that it doesn’t bother you and you are ready to stretch! I have my own stretching postures that are a mix of Yoga and stretching which I select depending on my mood. Lately I am doing a lot of gym workout, kickboxing and inline skating which means I need to stretch after every training so my Yoga mat is always ready. Stretching increases blood flow to your muscles, reduces risk of injury as well as muscle soreness. I noticed that whenever I stretch after exercise, I do not have sore muscles the next day but the moment I forget, next day is difficult to get through. So remember to always stretch after exercising! At the end of your workout and stretching find some time to relax and meditate. Push all your thoughts away and relax your body and mind. It might be difficult at first but with practice you will be able to control your mind and escape from everyday problems during your meditation time. I am so sorry I have been absent for so long, but I was finishing my masters, moving out of my flat and saying bye to some friends. Over this time I accumulated so many empties so you can guess what this post will be about 🙂 Hope its not too long! Perfume is always challenging to describe, so I will do by best to do so, but I suggest you smell it next time you have the chance. The perfume is composed of beautiful, addictive notes, the top note is African Orange Flower, heart note is Jasmine and base notes include White Honey, Cedar, Patchouli and Rose. The perfume is quite intense but very feminine and radiant. The bottle ideally matches the smell… so try it out. I often write about this mask as it is very effective. The Manuka honey has antibacterial and nourishing properties so it can be both cleansing and hydrating which is quite rare amongst face masks. It gets rid of impurities, and calms down any breakouts and redness. It lasted me for a long time, so although it is quite pricey, it is worth it. Available from Feelunique, £22.99. This divine oil was my travel essential this summer. It can be used on body, hair and face and like the name states, it is divine. It quickly absorbs in the skin, leaving it looking glowing and smelling beautifully. It is hydrating so you can use it after a long day at the beach, or you can use it in the evening and layer scents on top. I will definitely be buying the full size bottle. Available from Feelunique, £27. 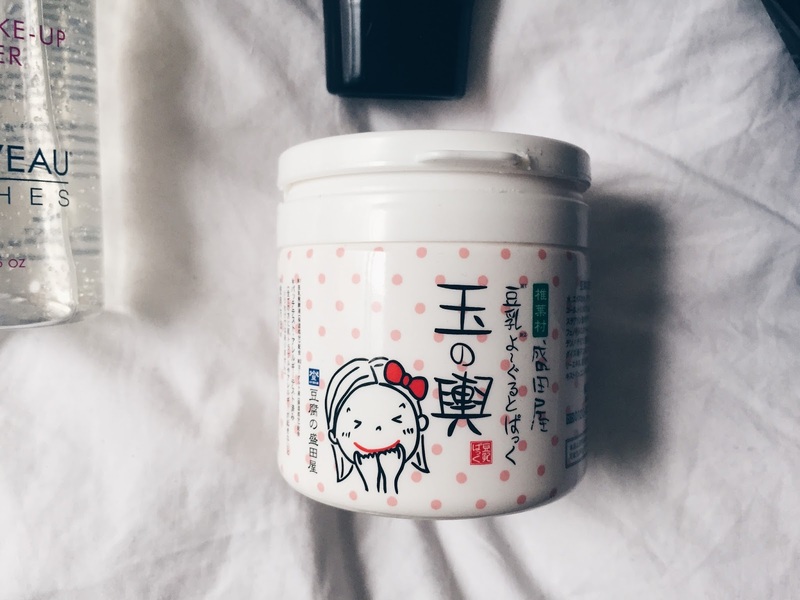 This super hydrating cream is a product that I always come back to. It is suitable for both adults and babies and can be used by people with eczema so you can be sure that it will not irritate your skin. It is a neutral smelling product so it will not disturb you, but overall it has a great effect and it can be used on both face and body. I always go to the large tub, and my whole family uses it. Available from Boots, £16.49. Being a Lush fan, I decided to try their popular Olive Branch shower oil. I like to use shower oil as it is less thick than body wash and is easier to distribute on the skin. The Olive Branch from Lush is very light, and only a little bit is needed for every use. It has a delicate, sweet smell which stays on the skin for a bit but then vanishes. It lasted me for a long time, and I think I will repurchase it. Available from Lush, £9.95. Love Love Love this warming sugar polish, when it enters in contact with the skin, it immediately warms up which makes the exfoliating process even better. It is unfortunately no longer produced but I will look for replacement as it was very effective and felt great on skin. Lately, I have been testing different body washes and I really liked the Wild Argan Oil Shower Gel from The Body Shop. If you used their body washes then you know they have this thick, creamy consistency, which I love. The argan oil shower gel is great as it doesn’t dry out the skin, leaving it ready for body lotion. The smell is stunning! Available from The Body Shop, £4. Unfortunately this gorgeous Polish Miracle Balm has also finished. The polish can be both used as an enzyme mask or as an exfoliator. I used it as exfoliator most of the time, as I have too many face masks. It is made of fine grains, which when massaged in circular motion remove dead skin cells and prepare the skin for moisturiser. Best used 1-2 times a week for healthy, glowing skin. Available from Lookfantastic, £57/75ml. I got this Brightening Water during my trip to Milan. I am a fan of L’Occitane, and I really like the Immortelle range. I used it the mornings and evenings instead of toner, to brighten and hydrate my skin. The whole range has a stunning delicate smell of the Immortelle flower which takes you back to the fields of Provance. After using this brightening water my skin was clearer, and felt more plumped and nourished. It is no longer produced but luckily there is a replacement, Essential Face Water, £18 . Micellar waters are becoming more and more popular, and the range of products is rapidly expanding. The recent release from Garnier is what I have recently used up and a new bottle is already in my beauty cabinet. The micellar water is a water filled with cleansing elements as well as favourable ingredients that nourish the skin. Garnier combined the cleansing benefits of oil which removes makeup more efficiently with micellar water which takes makeup removing process to another level. It removes waterproof mascara, red lipstick as well as foundation quickly, leaving your skin ready for further treatments. I am a fan of the delicate smell, it is a must-have product. Available from Boots, £5.99. With summer coming to an end I wanted to post about the Atlantavive Ocean Oak Bath Soak to bring you back to the long days at the beach and chilly evenings surrounded by sea breeze. One day I came across this brand, and since I am a fan of water sports, and spend every free time I have at the sea, I was very excited to try it. Altlantavive is a boutique health and skin care brand from Ireland. The brand uses traditional methods to create the healing and nourishing products using the local Ocean Oak (Fucus Vesiculosus). 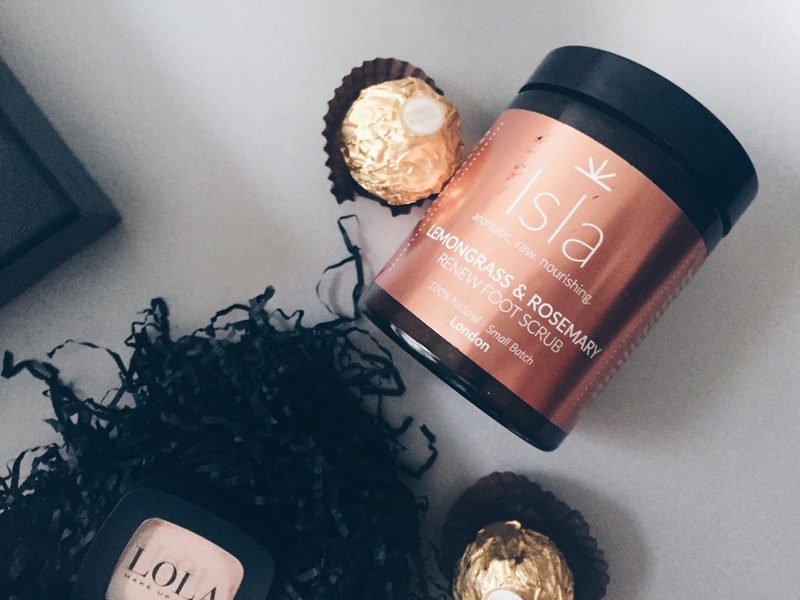 The products are inspired by the natural restorative powers of the sea and the Irish coastal landscape, and of course, they are 100% organic. The seaweed is harvested sustainably off the West Coast of Ireland during October and March when the seaweed is most nutritious. – Iodine which helps to heals skin burns, insect bites, eczemma and inflammation. –Ocean Oak known for skin cleansing, reinforcing skin’s elasticity, nourishing and anti- ageing. It also removes toxins from the body. First turn off your phone so that no one disturbs you during your relaxing experience. Light up candles and turn on relaxing music so that you get the most out of this time. – Fill your bath with hot water only. Take the Ocean Oak seaweed out of its biodegradable packaging and place in the sinamey bag, close the bag and drop it carefully into the water. Alternatively this Ocean Oak seaweed can be placed directly in your bath. – Leave the hot water to extract the oils and minerals from the seaweed for 5-8 minutes. When the water is at a temperature that is safe and comfortable, gently squeeze the seaweed. – Ensuring that the water is at your desired temperature, carefully ease yourself into the seaweed bath leaving behind the cares of the day. – Once immersed in the bath, feel rebalanced as the oils envelop your skin, while the iodine infused minerals relax the tired skin. Gently exfoliate and massage the oils into your body and feel your skin soften. – Once you feel replenished, your muscles feel relaxed and your mind is calm, take deep breaths and prepare yourself for movement. Lift yourself from the bath, taking care not to slip. – When finished, remove the seaweed from the bath and leave it to dry. This process can be repeated 2-3 times within 48 hours. Ocean Oak is biodegradable so please give it back to nature. The whole experience with the Ocean Oak soak is truly relaxing. The bathroom fills with the smell of sea and if you close your eyes you can feel the sea breeze. I took the bath 3 days in a row to fully maximise the benefits of this product and my skin felt revitalised and nourished. This home spa treatment is ideal after a long day at the office, long journey or when you need to unwind. A must-try product. The Atlantavive Ocean Oak Bath Soak is available from Atlantavive website, for £25.40. During these hot summer months it is essential to drink plenty of water and stay hydrated. I try to drink 2 litres of water a day but let’s be honest, water is a bit boring which is why we always seek less healthy alternatives. Recently I discovered a great healthy option called Flo Essence Water, so I can drink it without limits and enjoy the flavour! FLO is an acronym for Fun, Loving and Original. The reason why Ali Lazem, Flo’s Founder decided to leave his career and create Flo Drinks because he wanted a healthy, great water. The packaging is eco-friendly and recyclable making it healthy for the environment as well as for you. In addition, the brand donates 10% of their profits to clean projects. The Flo Essence Water is a zero-calories pure mineral water, which doesn’t contain any sugar, sweeteners, preservatives or colourings. The only addition is a drop of a delicious flavour, which is natural of course! The list of ingredients of every drink is just natural flavours. Good news for vegetarians and vegans – the drinks are vegan and gluten-free, and the flavours are made from non GMO-plants. Flo Essence Water is available in 4 different flavours: Watermelon Garden Mint, Blueberry Vanilla, Lychee Hibiscus, Cucumber Lemon. I was sent the Lucky Dip Box, where you get a selection of 3 flavours for £4. Available from Flo Drinks Website. This is my personal favourite! The light taste of watermelon and mint is very refreshing and perfect for summer time. If you love cold drinks, I would recommend to place it in a freezer for 2 hours and drink it chilled. Hibiscus is well known for its beauty benefits. It is filled with antioxidants, purifies complexion, evens out skin tone and provides a moisture boost, so it immediately became my water alternative. This flavour combination is divine, and perfect for an afternoon in the park. Also best served chilled. If you are a fan of forest fruits, this is the flavour for you. The prominent flavour is blueberries with a slight hint of vanilla, and this is probably the sweetest flavour. Try Flo Essence Water today, and order your lucky dip with 3 flavours for £4. You can also order individual flavours in a Pack or Mega Pack, or a range of mixed flavours in a Mixed Mega Pack. All available from Flo Drinks Website. Hydration is key to maintaining a glowing skin, healthy diet and healthy heart so get your Flo Essence Water today, stay healthy and enjoy the burst of flavours! 3. Let me know your favourite flavour!